June 19, 2014 – Gerald “Gerry” Goffin was born in Brooklyn, New York on February 11, 1939 and grew up in Queens. He enlisted in the Marine Corps Reserve after graduating from Brooklyn Technical High School. After spending a year at the U.S. Naval Academy, he resigned from the Navy to study chemistry at Queens College. While attending Queens College in 1958 he met Carol Klein, who had started writing songs under the name Carole King. 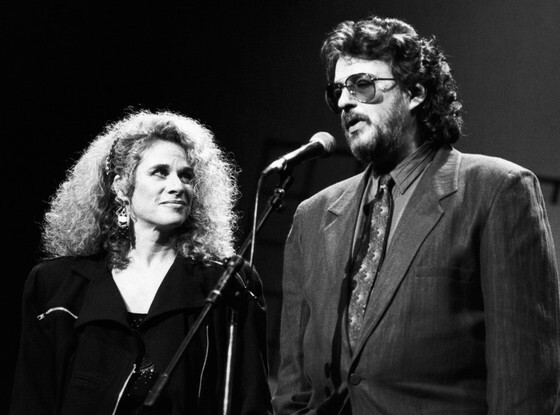 They began collaborating on songwriting, with Carol writing the music and Gerry the lyrics, and…. began a relationship. Goffin had written the lyrics for a musical but needed someone to write the music. King didn’t like musicals; she liked rock ‘n’ roll. King was driven; Goffin went along. When King became pregnant, they married in August 1959, he was 20 and she was 17. Don Kirshner hired the newlyweds to write songs for his Brill Building song publishing firm, Aldon Music. With King composing music on piano and Goffin penning lyrics, the pair banged out hits to order from a cubicle in a work environment that has all but vanished from the music business. Their success was so substantial that Kirshner set up a new label, Dimension, as a vehicle for Goffin-King songs, and the team moved into production and arranging as well. The pair kept abreast of stylistic changes on the vibrant Sixties scene, writing with vividness and versatility for British Invasion groups and R&B artists alike. They were paid a high compliment by the Beatles, who recorded their song “Chains” (previously a hit for the Cookies) and cited Goffin-King as songwriting influences. To capitalize on the Twist and other dance fads, Goffin and King wrote “The Loco-Motion.” Their young babysitter, Eva Narcissus Boyd, sang on the demo, which was released with minimal production and became a No. 1 record in 1962 credited to Little Eva. (It was later covered by Grand Funk Railroad.) Though they wrote hits for Bobby Vee, such as “Take Good Care of My Baby,” and even the Monkees (“Pleasant Valley Sunday”), Goffin’s most remarkable gift was capturing, in just a few brief phrases, the mood of a young nation. They co-wrote many international pop hits of the early and mid-1960s, including the US No.1 hits “Will You Love Me Tomorrow”, “Take Good Care of My Baby”, “The Loco-Motion”, and “Go Away Little Girl”. Like songwriting peers Barry Mann and Cynthia Weil, Ellie Greenwich and Jeff Barry, and Neil Sedaka and Howard Greenfield, Gerry Goffin grew up as part of the fecund hothouse of largely Jewish immigrant ambition that was Brooklyn in the early and mid 20th century. Born in Jamaica, Queens, on February 11, 1939, Goffin was a math and science geek who attended the still elite high school Brooklyn Tech. However, he had one quirk that went beyond the numbers. According to Ken Emerson’s definitive book about these writers and their era, Always Magic in the Air, Goffin had been making up songs in his head from the time he was eight years old, words he’d put to an “inane melody” in his head. “Up On the Roof,” by the Drifters featuring lead singer Rudy Lewis, was one of those records, “teenage tunes with Latin syncopation,” according to Jerry Wexler in his autobiography with David Ritz, The Rhythm and the Blues. Wexler credits the song with carrying Atlantic Records in the early 1960s. But Goffin’s masterpiece was his lyric to a song that Wexler wanted Aretha Franklin to sing. The song was “Natural Woman,” and it wasn’t even a song – just an idea for a song. Wexler had only those two words: no melody, no verse, chorus or bridge. Blessed with the gift for writing words for women’s voices, Goffin’s lyric to King’s music became one of Aretha’s signature tunes, “(You Make Me Feel Like) A Natural Woman.” “The song has become part of Aretha’s own persona, a product of her own soul,” Wexler said. In 1968, Goffin and King divorced and went their own ways. Goffin continued to write for and with others, while King evolved into a masterful interpreter of her own increasingly mature songs. Goffin continued to write blockbuster tunes for some of the greatest female singers of popular music: “Do You Know Where You’re Going To” by Diana Ross and “Saving All My Love for You” by Whitney Houston, both featuring music by Michael Masser. But for many, “Will You Love Me Tomorrow” will never be surpassed. Frankie Valli, famous frontman of the 1960s harmony sensation the Four Seasons, collects antique furniture, and compares Goffin’s lyric to a great piece of handmade furniture. “I have a 16th-century country French armoire that I will never get rid of,” he says. “I look at it sometimes and I’m amazed. The whole thing comes apart and there is not one nail in the whole thing.” Gerry Goffin’s craft was like that: Handmade, created in the moment, so beautiful yet sturdy that it is not hard to imagine his songs lasting 500 years. Goffin died on June 19, 2014 at the age of 75.